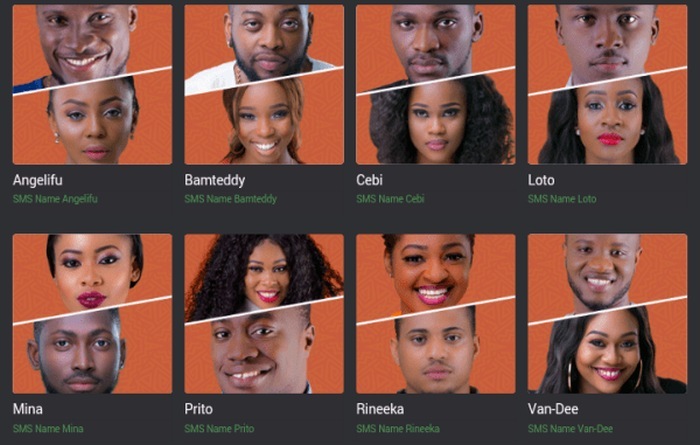 Who’s Your Favorite Contestant Among The Past BBNaija Housemates?? The 2017 housemates include; T-Boss, Soma, Miyonse, Gifty, Uriel, ThinTallTony, Kemen, Bally Efe, Marvis, Bassey, Debiee Rise andBisola, While the 2018 housemates include; Ahneeka, Alex, Angel, Dee-one, Ifu Ennada. Rico Swavey, Khloe, Teddy-A, Tobi, Princess, Ceec, Miracle, Lolu, Nina, Vandora, Anto, K.Brule, Bitto, Leo andBambam.